~~One of a kind~~ This lovely home located in Sierra Montana has 2 Master bedrooms, with each having it's own bathroom, with dual sinks and lots of counter top space and large walk in closets, and 1 additional bedroom downstairs. Tile throughout first floor including; kitchen, dining, family rooms, bathrooms and hallway. Carpet in the bedrooms. 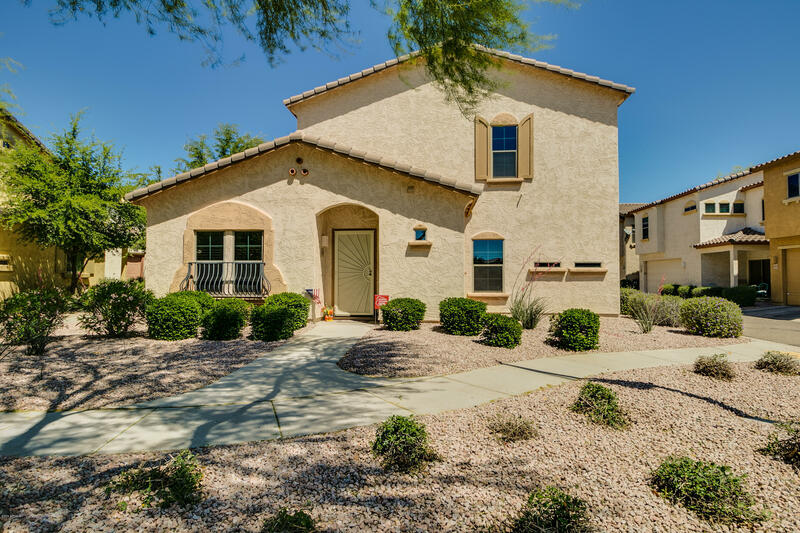 Custom paint throughout home, updated lighting and ceiling fans, nice size kitchen with plenty of cabinet and counter top space and all appliances convey with the sale of the home including washer and dryer. Good size dining nook area, house faces street so easy access to property, covered patio, one car garage. This home has a lot to offer and it can be yours today!